The BMW 5 Series represents an incredible model from BMW. From the first trim, the BMW 530i, all the way through to the plug-in hybrid BMW 530e iPerformance, every model in the 5 Series lineup is an astounding vehicle, meticulously engineered and designed in a way only BMW can. Here at Century West BMW, we're such huge fans of this BMW series, we keep a huge collection on hand for our customers in the Studio City, and we happily sing its praises to all who will listen. One of the most popular 5 Series models we have available on our new vehicle lot is the BMW 530i. A sleek and sophisticated sedan, this model comes with so many standard tech and safety features, it's hard to describe them all in one short article. That's just the beginning, too. There are also available, add-on packages you can order to customize your 2018 BMW 530i even further. These include a Dynamic Handling Package, which adds an adaptive suspension system; a Luxury Seating Package, which upgrades the front seats with heating, ventilation, and massage; and a Driving Assistance Package, which adds parking sensors and a rearview camera. Ready to see what makes the BMW 530i a superior sedan option in Studio City? 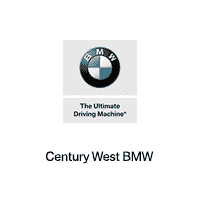 Stop by Century West BMW, and test drive one of our amazing options today. We have a nice selection of both 2017 and 2018 versions on hand, and our sales team can show them all to you, and help you find the perfect one for your personality and taste.